Dr Eccleston MB ChB MBCAM is the Clinical Director and part owner of MediZen, the leading cosmetic dermatology clinic in Birmingham, UK, which has received numerous industry and consumer awards over the years, and he has over 20 years experience in the use of botulinum toxin and facial fillers. He was the Chief Investigator on the first clinical trials of Volbella, with the results of the trial being published in the USA with him named as the lead author. He was also an investigator in the UK pre-licensing trials for Botox, Xeomin, Dysport and Azzalure, and continues his interest in clinical trials. David runs an advanced cosmetic training centre at his clinic, and has personally trained over 3,000 doctors on advanced injection techniques in the use of botulinum toxin for cosmetic purposes, as well as in the use of dermal fillers for full facial contouring. He regularly conducts MasterClasses for doctors in aesthetic injection techniques, both in the UK and abroad. He is a Faculty Member of the Allergan Medical Institute, dedicated to improving the skills and safe practice of aesthetic practitioners, and an acknowledged expert on the management of hyperhidrosis and migraine using Botox. He is also Allergan’s appointed UK ‘go-to’ expert for complications arising from the use of HA fillers, and the UK representative on the International Advisory Board on Complications Management. He is a member of The British College of Aesthetic Medicine and is a past President of The Society of Cosmetic Physicians and Surgeons. He was awarded the title of ‘UK Aesthetic Doctor of the Year’ in July 2016. 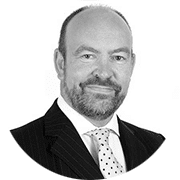 He is also one of the medical advisors for the UK’s largest aesthetic information website, www.consultingroom.com and sits on advisory panels for a number of leading companies involved in producing products & treatments for the aesthetic market. Dr Eccleston has appeared in many magazine articles and taken part in television and radio interviews on the subject of non-surgical medical aesthetics, and is regularly quoted and asked for comment and opinion by journalists with an interest in aesthetics. His wife Annie is an experienced nurse injector, and his daughter Laura works at the clinic on reception. The family dog, Marmite, is still in training.